How to watch Kahlil Gibran's The Prophet (2014) on Netflix Argentina! Sorry, Kahlil Gibran's The Prophet is not available on Argentine Netflix, but you can unlock it right now in Argentina and start watching! With a few simple steps you can change your Netflix region to a country like India and start watching Indian Netflix, which includes Kahlil Gibran's The Prophet. We'll keep checking Netflix Argentina for Kahlil Gibran's The Prophet, and this page will be updated with any changes. Kahlil Gibran's The Prophet is not available in Argentina BUT it can be unlocked and viewed! A troubled young girl and her mother find solace on a journey with a subversive poet whose words captivate their hearts and imaginations. His life-affirming poems inspire everyone he encounters, but the impact of his words puts his freedom at risk. There is a way to watch Kahlil Gibran's The Prophet in Argentina, even though it isn't currently available on Netflix locally. What you need is a system that lets you change your Netflix country. With a few simple steps you can be watching Kahlil Gibran's The Prophet and thousands of other titles! 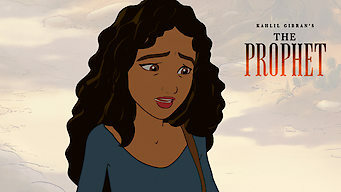 Watch "Kahlil Gibran's The Prophet"